Shot of oil. Many people have heard that before you go out for a wild night of drinking, that if you take a shot of vegetable or olive oil, that it almost guarantee that you won’t get a hangover due to the coating properties of the oil. 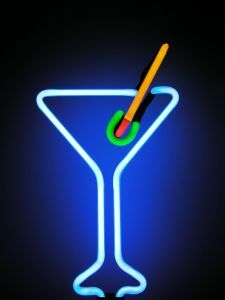 Well now some of the casino bars have recognized that this could be a service so for fifty cents you can order a shot of vegetable oil or for buck you can order a shot of extra virgin olive oil before your night of partying.